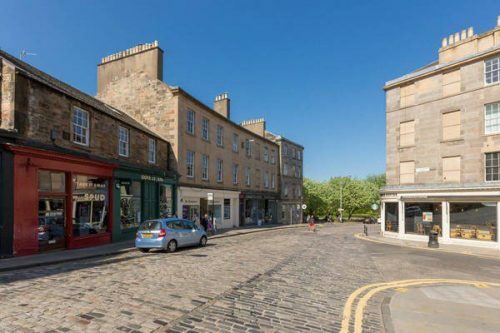 SHORT TERM LET – Stunning, B-listed William Playfair-designed four-bedroom double upper Georgian flat located on the main bank connecting the exclusive Stockbridge to the vibrant New Town. 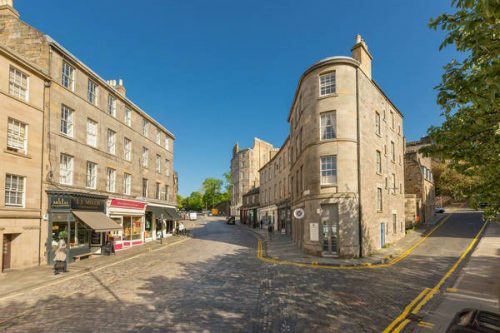 Perfectly balancing period characteristics with luxurious contemporary design, it has been thoughtfully furnished throughout to an executive standard – ideal for professionals seeking an oasis in the heart of town. Internally the first floor hosts a stylish, fully equipped kitchen featuring a Stoves dual-fuel range cooker and offers contemporary dining around the large table, comfortably seating eight guests. The elegant living room features a discreet Samsung `The Frame` TV above the dramatic open fireplace and benefits from the natural light via traditional sash-and-case windows – boasting a fantastic outlook over St Stephen Street`s boutiques and galleries. Adjoining the living area is a snug designed for relaxation or as a quiet study. A south-facing, master super-king bedroom offers a space of tranquillity with views of the leafy communal garden and enjoys its own en-suite shower room. 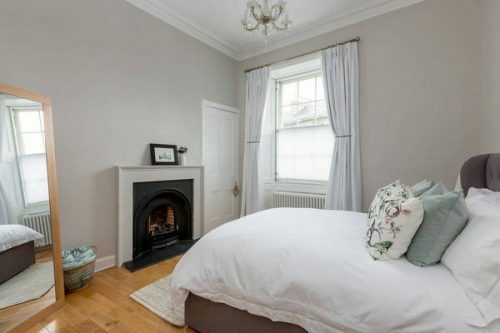 A further spacious and enchanting double bedroom, separate WC with heated flooring and a practical utility room complete this floor. The second floor accommodates two further south-facing king size bedrooms, both elegant and contemporary – one with built in wardrobes. An immaculate family bathroom, a Bagno-designed floor to ceiling shower room with heated seat and flooring finishes off this property in style. The property further benefits from Hive controlled central heating,Hi-speed WiFi, USB charging points in all rooms and extensive storage.